With so much attention paid to the technology behind digital signage, it’s sometimes easy to forget about how important it is to create content that will help achieve your company’s aims. Obviously, without content, digital signage would have nothing to display. But simply repurposing older versions in an upgraded format is to miss out on a major opportunity. Instead, your company must make the creation of its digital signage content a priority. Without the right digital signage content, the technology being used – as flashy and exciting as it might be – won’t serve any purpose. It won’t produce an ROI of any kind. 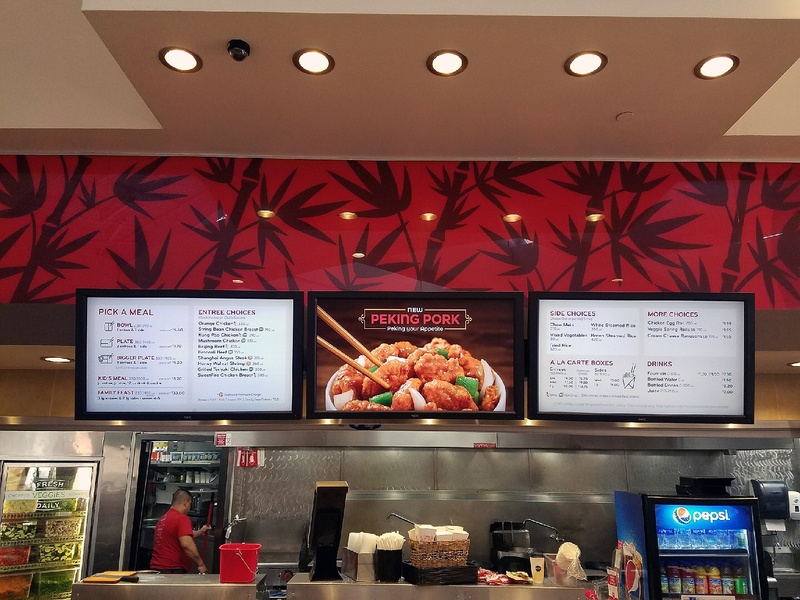 However, most companies’ digital signage displays do little more than take their traditional branding pieces and combine them with new technology. For example, a wall display may be used to show the same commercials the company regularly plays on TV or online. This reflects a failure to understand why digital signage content matters, which is that, when done right, it offers shoppers an experience similar to the kind they’ve come to expect online: one that can be immersive, interactive, informative, and entertaining. 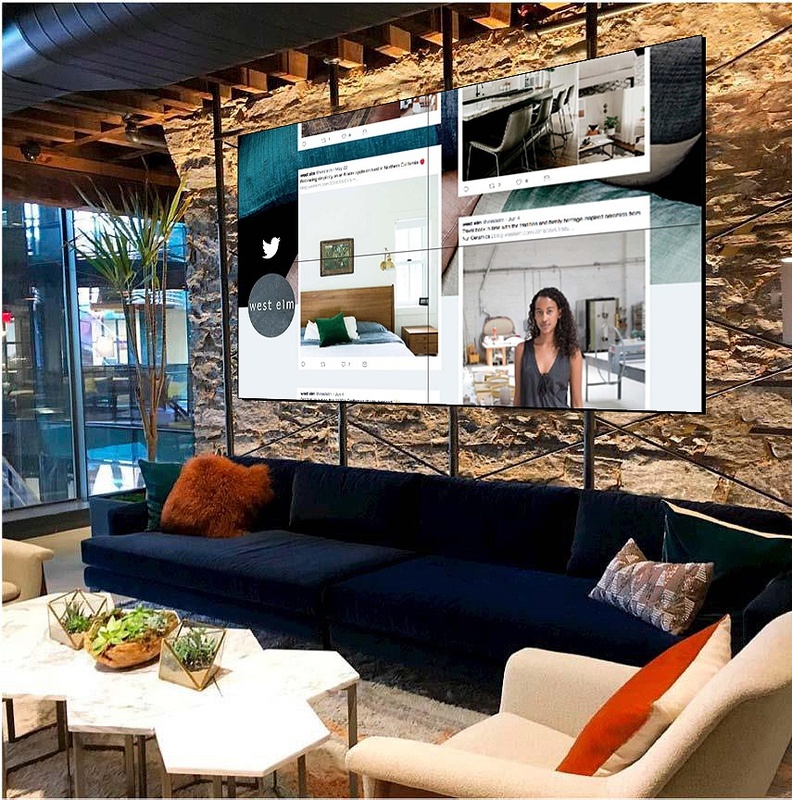 Digital signage content can also leverage the space of a physical environment, something websites can’t do – a major advantage at a time when brick-and-mortar businesses need one most. Understanding why digital signage content matters is a good start. If you don’t, the result will be little more than traditional displays powered by new technology. Still, that doesn’t necessarily make its creation easy. Fortunately, if you master the five steps below, you’ll arrive at digital signage content that meets your company’s unique goals. Speaking of which, the first step you need to take to create high-quality digital signage content is to get clear about what your goals are for it. What kind of experience do you want to provide your customers? How can digital signs support this? Chances are you already have a strong handle on what your customers want and, thus, the experience you need to provide. If you own an office building, visitors probably want to know how to get to their intended destinations ASAP. If you own a dealership, they most likely want to know about your inventory and have questions about your individual vehicles. At restaurants, digital signage is often used to tell guests about wait times, display menu items, and allow customers to place their orders. We’ll talk about how to better understand your audience in a minute, but one way to address these two questions is by looking at important customer-analytics. All of these KPIs can be improved by applying the right digital content signage at the right locations in your store. This will offer a better customer experience, which, again, is why digital content matters so much. Think about how your audience wants to see your digital signage content, because it’s not just about the information. The right content must also be delivered in a way they find acceptable and engaging. If you run a retail store for Millennials, their preferences regarding content delivery will probably be very different than a store designed for older professionals. This will be much easier to do if you already have detailed buyer personas for your company. What are other meaningful identifiers? If your goal is to simply show people where to find the office they’re looking for, answering these questions is probably overkill. However, if your goal is to increase engagement time or how much a shopper spends at your store, understanding every detail of your buyer personas is a powerful competitive edge. For more help creating these buyer personas, download some of HubSpot’s templates. Timing was never much of an issue with traditional displays. The time of year was usually the extent to which this factor mattered. As we mentioned earlier, one of the reasons it’s so important to understand why digital signage content matters is because if you don’t appreciate its full potential, you can’t realize it. The matter of timing is a perfect example. With a digital sign, you can display different messages throughout the day. By understanding your audience, you might find that customers who visit in the morning have very different goals than those who shop in the afternoon or at night. Think of a restaurant. 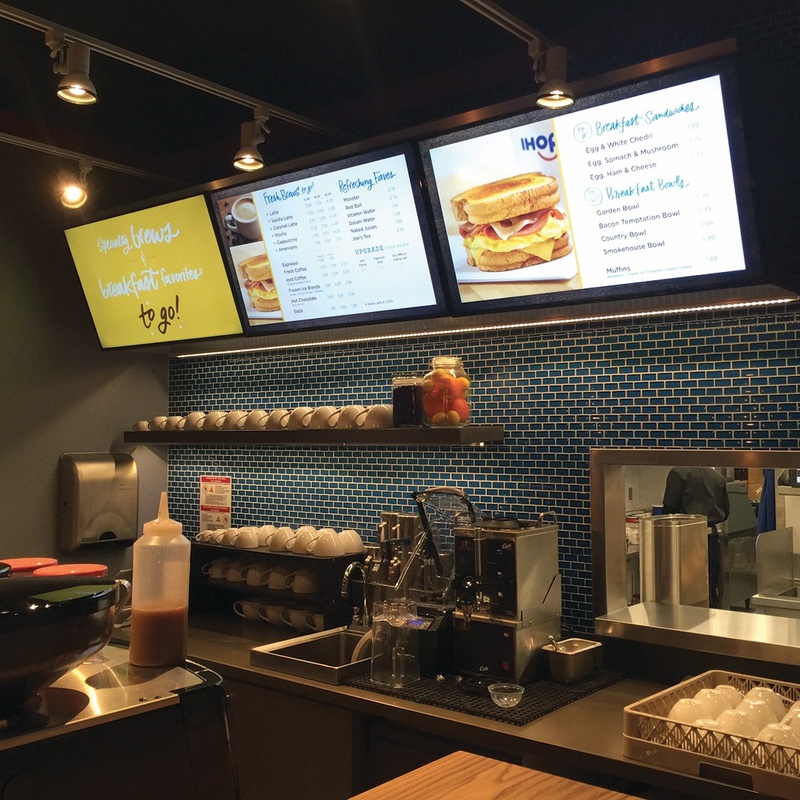 The same digital sign can advertise breakfast, lunch, happy hour, and dinner specials at different times throughout the day. There’s also the length of your content. If you intend to use video to pull people into your store, it will help if you understand how much time the average passersby is willing to give your advertisement. Otherwise, it won’t stand much of a chance. Similarly, if you want to help customers pass the time while they wait in line, you should know how long the average wait is. This way, your customers won’t perceive it as being significantly longer because they have to endure the same video on loop over and over and over. There’s an expression in digital signage: “Content is king, but positioning is queen.” In other words, your digital signage marketing strategy must prioritize the locations of these displays or the right content isn’t going to matter much. Let’s look at a retail environment. One sign can face passersby with the goal of convincing them to enter. Another sign can advertise some of the more popular items throughout the store. Still other signs can be used throughout the store to explain how certain products work and even offer an interactive experience for customers who want to learn more. Switch the location of those signs around and you’ll greatly reduce their impact, which helps illustrate why positioning needs to be a central part of your strategy. The good news is that discovering the locations that will give your content the exposure it needs is fairly simple. If you’ve identified your goals, the right positions should be obvious. For example, reducing perceived wait times means having a sign next to where customers line up. Increasing foot traffic means putting signs where passersby will see them. Finally, as with any marketing collateral your company invests in, you must measure the success of your digital signage content. Again, this is much easier to do when you put sufficient time into that first step. You can’t measure success without having a clear understanding of what your goals are. Still, don’t implement a digital signage marketing strategy until you’ve also gotten clear about how you’ll measure its performance. For example, do you have the tools for measuring dwell time, foot traffic, or other important KPIs you care about? 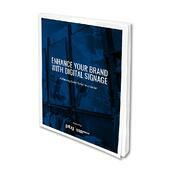 Furthermore, will these digital signage tools allow you to regularly check these measurements? If you need to wait months before you can tell if your content is doing its job, you’re not much better off than those companies that rely on traditional signage. When you consider that one of the biggest advantages of digital signs is how quickly you can modify them, the importance of being able to measure their performance is obvious. The moment you see that one is struggling, it can be changed. The moment a new idea catches fire, you can double-down on it and enjoy greater results. Appreciating the importance of digital signage content and turning its creation – and constant evaluation – into a priority should go hand-in-hand. As you’ve seen, there’s a lot that goes into creating the right signage content for your company, but that’s only because you have so many options for providing the ideal customer experience. In summary, this is why digital signage content matters: because you’ve never had a better opportunity for engaging customers in-person and, because of ecommerce, this capability has never mattered more. Still have questions? The first step to leveraging the full potential of digital signage is developing an understanding of what it is, how it works, and all that it has to offer. You can read further on digital signage hardware, and download our guide that includes a digital signage brand enhancement worksheet to get you started, just click here.